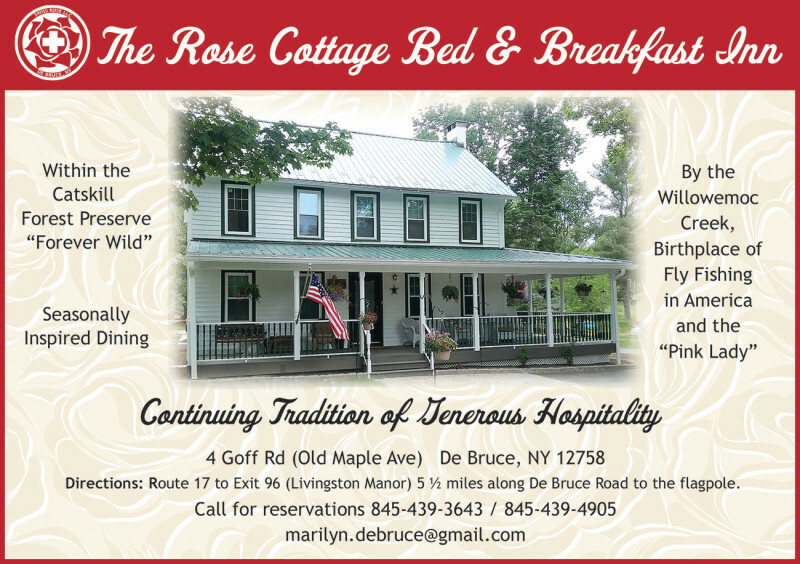 Within the Catskill Forest Preserve, a century-old tradition of hospitality continues in the hamlet of De Bruce, just steps from the Willowemoc and Mongaup creeks, near Livingston Manor, Roscoe & the Beaverkill. In our private preserve find wooded trails, wildlife & game, fields & streams. Birthplace of Fly Fishing in America, the Pink Lady Dry Fly, and namesake cocktail! Daily rate per person from $125.00 (+ tax) includes full breakfast and dinner.